Want a watch that prevents passers-by from checking the time on your dime? Buy a Tokyoflash. 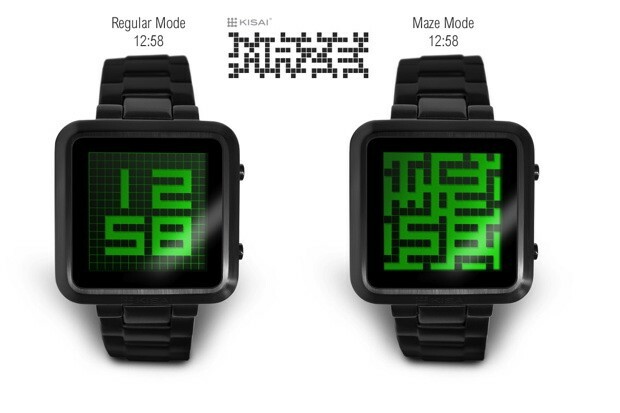 The company's latest timepiece is the Kisai Maze, which hides the info in the negative space of a maze that's only readable with some practice. Available in stainless steel or IP Black, there's an EL backlight to let you annoy the elderly at night and you can watch it being demonstrated after the break. If you snap one up in the next 48 hours, it'll cost $99 (€77, £61), but hurry, because after Thursday morning the price leaps to $139 (€108, £86) -- so now's the time to learn how to be ruthlessly punctual. Tokyoflash hides the time inside the Kisai Maze watch for you to find (video) originally appeared on Engadget on Tue, 16 Oct 2012 03:00:00 EDT. Please see our terms for use of feeds.